Aventura Park Comana is situated in Comana village, 30 km south of Bucharest, in the proximity of Comana Natural Park. 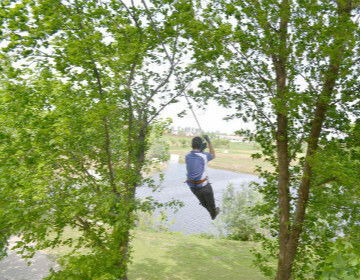 The adventure park offers multiple tracks with different difficulty levels (for children and also adults), archery, climbing walls, boating and carriage riding. Casa Comana resort, in the vicinity, provides accommodation and additional leisure services and facilities. Locals in Bucharest have reviewd Aventura Park Comana - Kids attractions in Bucharest. You can find here description, reviews, address, map, phone, website of Aventura Park Comana in Bucharest. Visit Bucharest Tips for more Kids attractions in Bucharest!